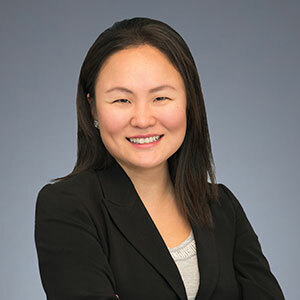 Senior Director Jessica Lee shares a Korean American perspective on how the U.S.-NK issue is viewed in Washington, D.C.
Senior Director Jessica Lee was featured on The Hill’s Tuesday Profile, which aims to interview lobbyists, advocacy group leadership, and congressional staffers. Senior Director Jessica Lee analyzes upcoming Trump-Kim Summit in Hanoi and possibility of denuclearization of the Korean Peninsula. Interim Executive Director Jessica Lee discusses the work of CKA and other community-based organizations after attending the Aspen Ideas Festival. Interim Executive Director Jessica Lee analyzes upcoming Trump-Kim Summit in Singapore and possibility of denuclearization of the Korean Peninsula. Why Did Trump Cancel Summit With North Korea? Interim Executive Director Jessica Lee discusses next steps following Trump’s decision to pull out of summit meeting with North Korea. President Trump’s plans for nuclear summit with North Korea thrown into doubt after meeting with South Korean President Moon Jae-in. Interim Executive Director Jessica Lee discusses upcoming Trump-Kim Summit in Singapore and what means for the Korean American community who wants peace in the Korean Peninsula. All three men were freed after Secretary of State Mike Pompeo met with North Korean leader Kim Jong Un ahead of a planned summit to discuss the country’s nuclear weapons program. Secretary of State Mike Pompeo returns with three U.S. citizens detainees leading up to anticipated Trump-Kim Summit. A successful inter-Korean summit hinges on North Korea’s willingness not only to promise to give up nuclear weapons, but also to allow inspections on its nuclear arsenal and test sites. The Global Fund’s decision to discontinue funding for fighting tuberculosis in North Korea begs the question of whether humanitarian aid is being politicized. ‘Denuclearization’ may be the goal of U.S.-North Korean summit, but each side defines it differently. What do we mean when we talk about denuclearization? What​ is the impact of Secretary Rex Tillerson’s departure ​from the State Department ​and how ​might ​Seoul perceive it?​ Will it have a negative impact on ​the Trump-Kim summit? Have the Winter Olympics opened the door to resolving the Korean nuclear crisis? As the Winter Olympics drew to a close in PyeongChang over the weekend, some are suggesting that diplomacy may have won gold. I’m a Korean American. Why Is Trump Questioning How American I Am? The recent story of President Donald Trump reportedly asking a Korean American intelligence officer where her “people” were from is all too familiar to me. Top envoys and senior officials from 20 nations gathered in Vancouver, Canada to discuss how to curb the DPRK’s nuclear ambitions. Despite what some may say, war in the Korean Peninsula is not inevitable. Korean and American lives are not acceptable casualties. While in Seoul, the president should de-escalate tension with North Korea. A war of words has erupted between President Donald Trump and North Korean leader Kim Jong-un. Last Saturday, President Donald Trump tweeted that “only one thing will work” in dealing with North Korea. For decades, policymakers, journalists and the media have discussed, prevented, and continued to assess North Korea’s nuclear capabilities. Korean Americans and others who have relatives in Guam, North Korea and South Korea say the rising tensions between the U.S. and North Korea are troubling. Reports surfaced Tuesday that U.S. intelligence officials believe North Korea has produced a miniaturized nuclear warhead.